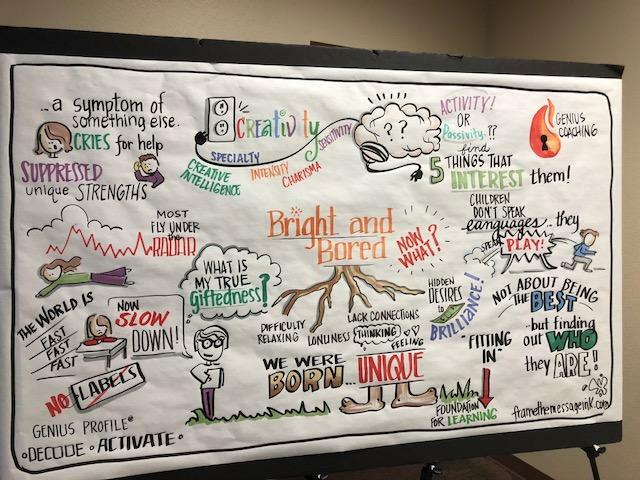 My friend Taryl Hansen expresses her unique brilliance in a very special way: She captures the essence of any presentation, training session or keynote speech on a 5×3′ flip-chart panel by arranging and connecting the key elements in a way that significantly increases the depth and quality of remembering as well as sparking new discussions. 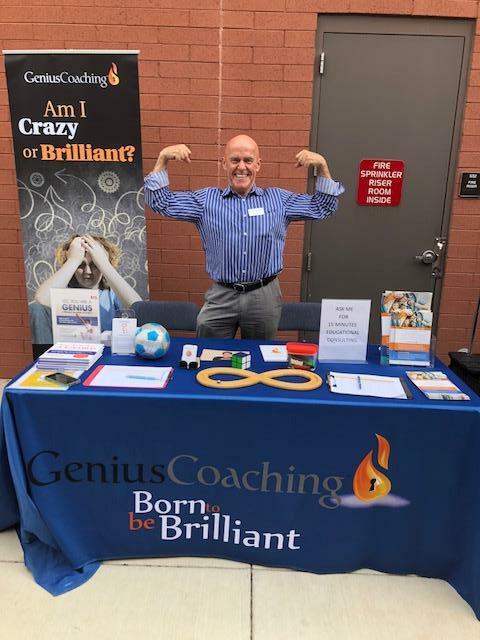 For the first time we partnered last Thursday during my presentation for parents of gifted children at the Scottsdale School District. Topic: “Bright and Bored – Now What? A fresh Perspective on Anxiety and Violence”. Behavioral research tells us that we process pictures 60.000 times faster than words. I definitely experienced the power of this result in action. Many parents took pictures at the end and commented: ” This is the best summary I can take home tonight!”. This entry was posted in Food for Thoughts, Physical Intelligence on April 18, 2018 by Otto Siegel.